Back to my story about becoming crafty. As I mentioned before, I did some counted cross-stitch, embroidery, and basic crafts in childhood. I wasn’t very into crafts in high school or college, at least not that I recall. I was very focused on school, spending time with my college boyfriend, and working as a camp counselor in the summers. I went straight from college to graduate school and that’s when the crafty bug started up again. 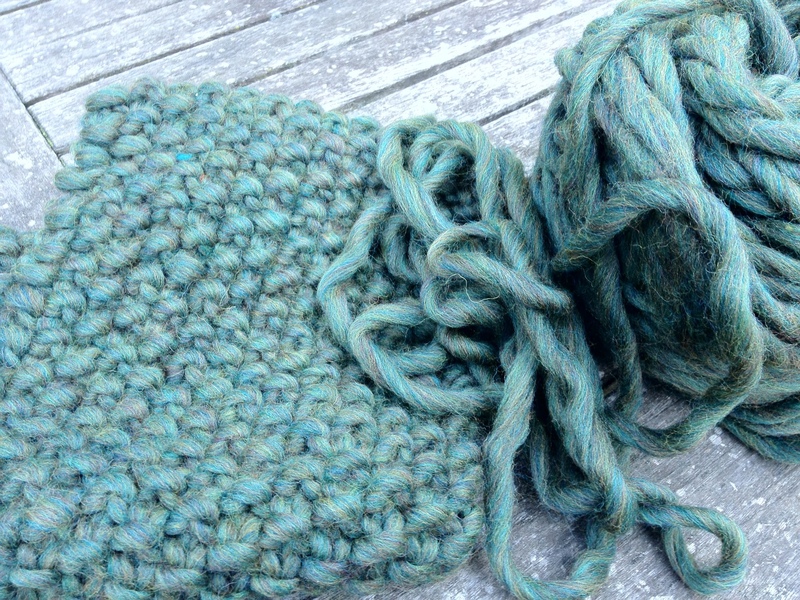 I made decent progress, but the yarn was scratchy and I wasn’t sure I was doing it right. (why OH WHY when potentially new enthusiastic knitters walk into a yarn store, do they sell you the cheap scratchy yarn????????) I also got bored going back and forth, back and forth, zzzzzzzzzzzzzzzzzzzzz. I just stopped and put it away. What’s really interesting to me is that I STILL have this – I obviously moved with it multiple times thinking “someday” I might want to “really” learn how to knit. I got the knitting bug again after grad school, and again I walked into a yarn store, and asked for yarn (the light green yarn above) and some starter needles. By this time, the internet was in full swing and I was able to watch videos online at (knittinghelp.com) to get the hang of things. 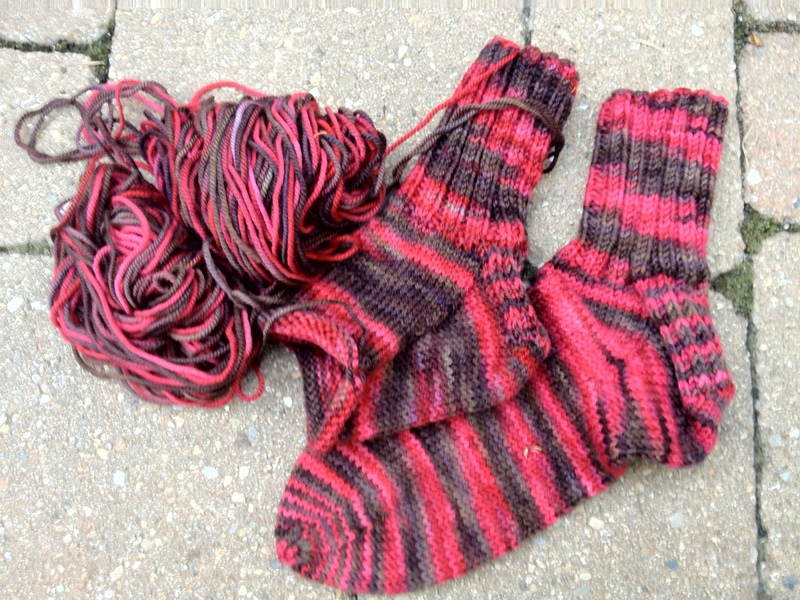 But again, I stopped after knitting what felt like forever to produce a 2×4 swatch and put it away in a drawer. I was bored. 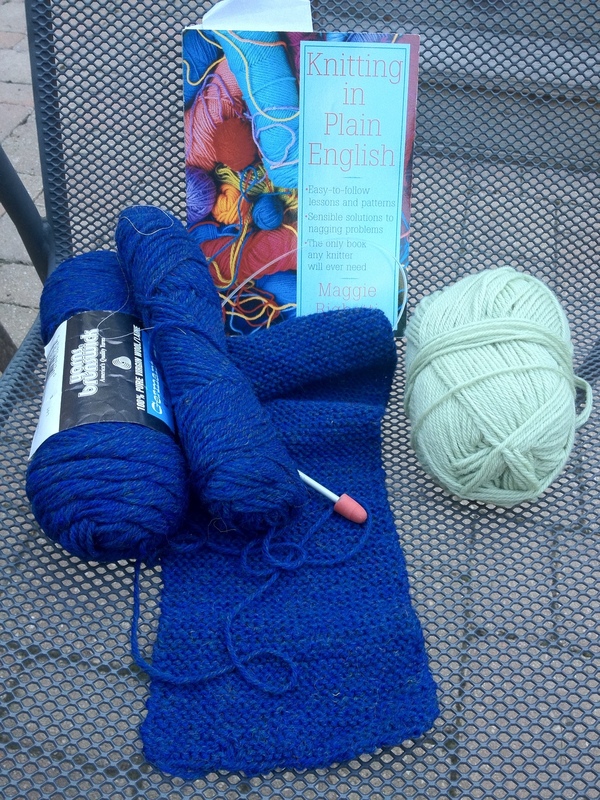 The real obsession with knitting started when I was pregnant with my second child, S. This time I walked into a yarn store and asked for some really big needles and bulky yarn so that I could practice but still have a sense of accomplishment. I ended up with Cascade Magnum and size 15 needles. I remember knitting away on a scarf while watching the super bowl that year. It was seed stitch and I was hoping that would keep it interesting for me. Nope, I never finished, but I put it away in a cute bag and looked at it every now and again. A few months after my daughter was born, I decided to try again. This time, I wanted to make something more complicated, because I had the basic stitches down. My problem with making progress was that I kept getting bored. So, I figured, I needed something more complicated. 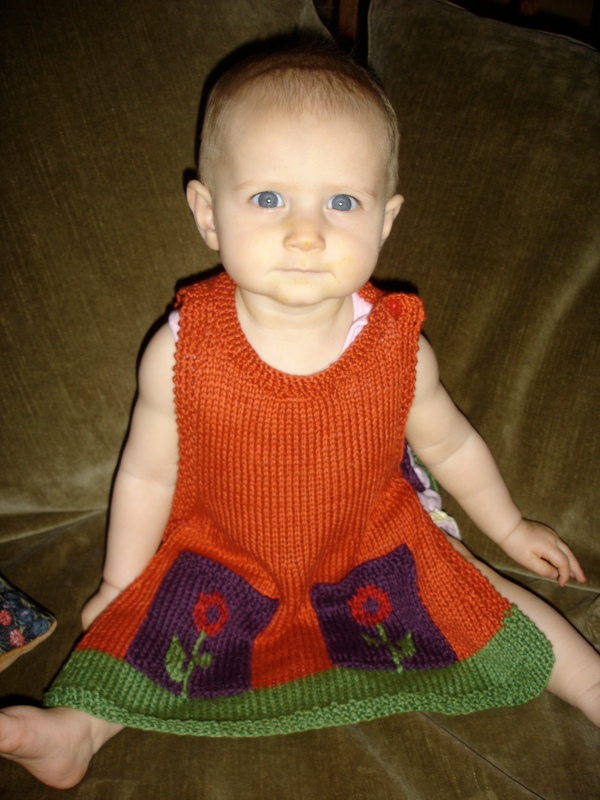 This is from the picky pants pattern, and for someone not used to reading knitting patterns, it was great because everything was written out next to the conventional knitting shorthand. So, I learned to read patterns and follow their logic by working through this. After that, there was no stopping me. I attended some knitting festivals that summer, found all of my local yarn stores, and started accumulating yarn at an alarming rate. 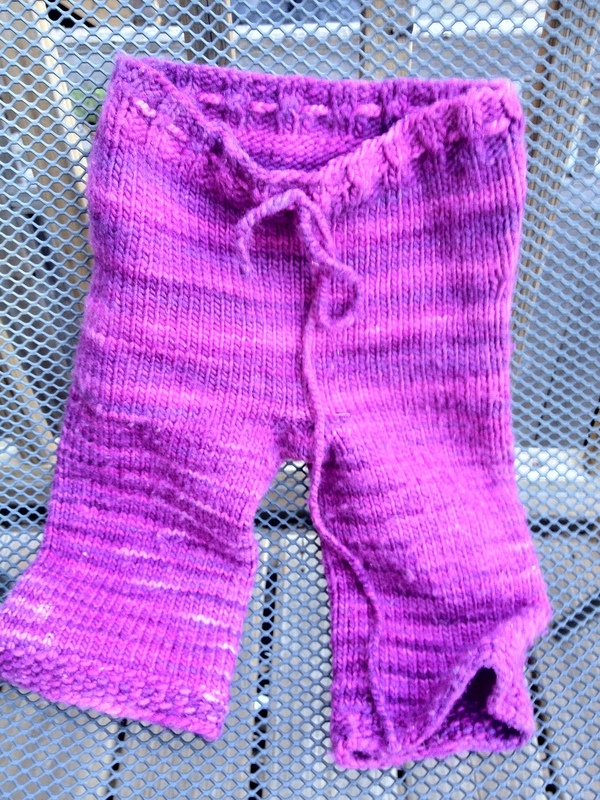 I knit my first sweater for me, a sweater for my son, a scarf for my mom, and started some socks (that, whoops! I still haven’t finished). Little did I know that knitting is a “gateway drug” and that once you learn to knit you also want to learn to spin your own yarn and learn about sheep…… to be continued….